This worksheet is intended to help you discover and generalize a rule for finding the underlying polygonal tessellations that M.C. 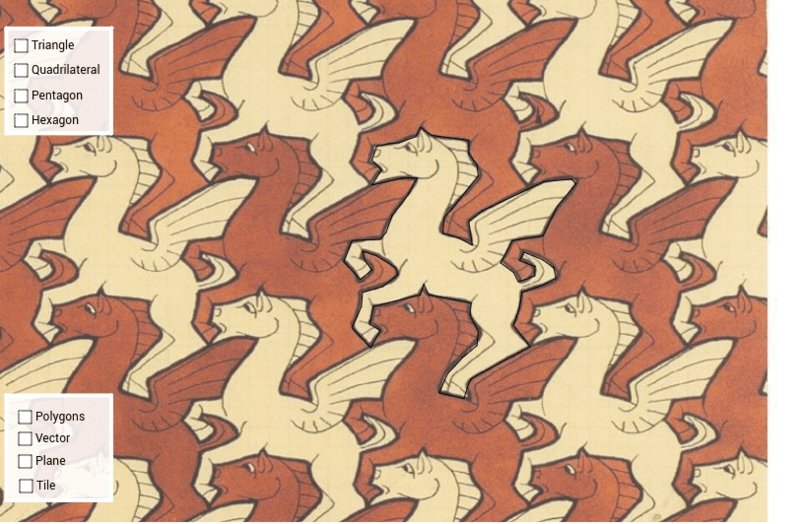 Escher used to create the non-polygonal Pegasus tessellation. It can also be used to explore the relationship between the symmetries of the tessellation and the transformations used to create the pegasus tile.